Supplied in economy 5litre containers PlasmaFLOW provides over 30% more coolant than a US gallon. Why pay more money for less product?? Supplied in an economical 5litre containers, PlasmaFLOW provides over 30% more coolant than that of a US gallon as so often supplied by OEM's! 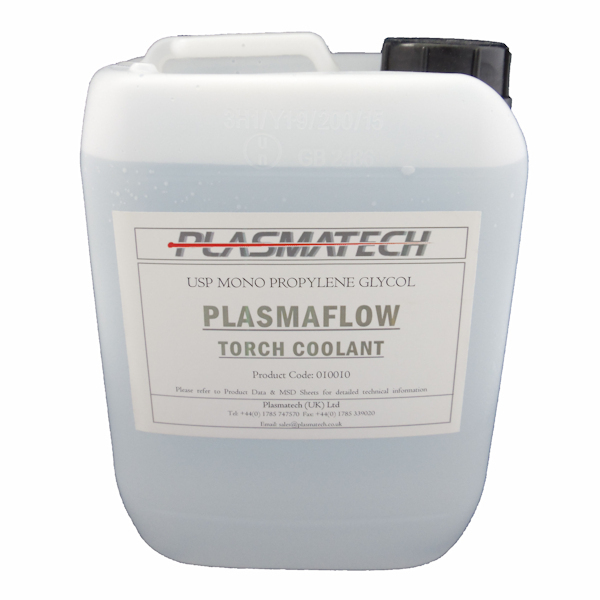 PlasmaFLOW is a competitively priced universal plasma arc torch coolant manufactured in the UK and suitable for all water cooled plasma systems. 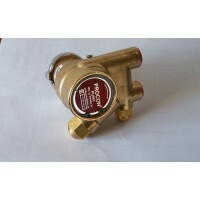 Initially produced for use in Kaliburn plasma cutting systems, and manufactured to the exact same specifications as the OEM product, PlasmaFLOW is also now widely used in Hypertherm and other water cooled plasma cutting systems as well as being suitable for water cooled MIG, AG and TIG welding systems. Plasma torch coolant can have a huge impact on plasma consumable life and so, by using the correct glycol based coolant, you can in fact increase consumable life by 30% or more - the better you cool the electrode, the longer the electrode will last! PlasmaFLOW has a maximum content of 25% Glycol giving protection to -12 C (10F) as per the graph below. By switching to PlasmaFLOW you may even be able to increase further your plasma electrode life. PlasmaFLOW Torch Coolant is Clear! Some torch coolants contain dyes. Whilst these coolants may work fine in water cooled welding torches they should never be used in a CNC plasma cutting machine where the temperature and voltage is much higher. 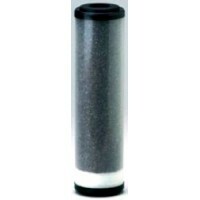 Coloured coolant has known to solidify, creating a jelly-like substance, that will clog your torch and water cooler. Never use commercial radiator antifreeze as this has materials that are unsuitable for plasma cutting systems and also may cause damage! !